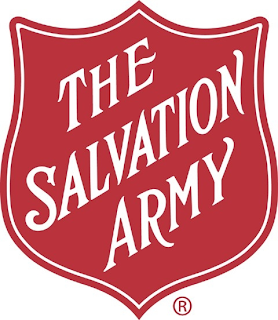 The Salvation Army Warren Corps Community Center is currently accepting applications for its 14th Annual Dress an Angel Program for residents of southern Macomb County, including Warren, Roseville, Eastpointe and additional areas. Applications will be accepted now through March 11. The Dress an Angel Program provides children age 11 or younger with a new Easter outfit. The clothes are distributed on April 2 and each child is able to choose a dress, skirt or pant outfit. They also receive socks, underwear, t-shirts, bras, belts, tights and other items. This program is reserved for families with children. Children whose parents meet income requirements will shop for a brand new Easter outfit with the assistance of a volunteer. Applicants must bring a picture ID for all household adults, birth certificates for household children and proof of household income and expenses. Families in need of assistance should contact The Salvation Army’s Warren Corps Community Center located on 24140 Mound Rd. at (586) 754-7400. For more information about The Salvation Army, please call 877-SAL-MICH, or visit us at www.salmich.org.